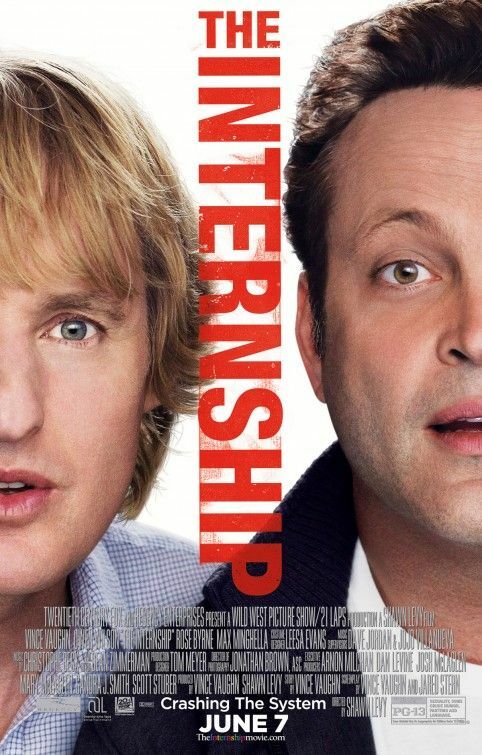 Since anyone can make up a holiday, 20th Century Fox has whipped up “National Intern Appreciation Day” as a way of promoting their new comedy, The Internship. Even though it’s supposed to be in appreciation of interns, anyone in select cities can go to a free screening of the movie tonight at 7:30pm local time at select theaters. There’s no need to RSVP or anything like that. It’s a first-come, first-serve kind of thing, so if you want to see a free movie tonight, you have this option. If you’re actually an intern, you’ll probably be so inundated with work that you won’t be able to go, but be sure to ask your paid co-workers about the film. Hit the jump for the press release and a list of theaters where you can see the free screening tonight. The film stars Vince Vaughn, Owen Wilson, Rose Byrne, Max Minghella, Dylan O’Brien, Josh Gad, B.J. Novak, and John Goodman. The Internship opens Friday. LOS ANGELES, California – (May 30, 2013)…Twentieth Century Fox’s summer movie comedy event THE INTERNSHIP is celebrating National Intern Appreciation Day on Monday, June 3rd, honoring the unsung and underappreciated heroes of our nation’s workplaces: interns. The celebration will pay tribute to interns everywhere, who reinvent themselves each day, including devising strategies that can turn a company around! And who better to recognize the tireless workers seeking knowledge and experience about their field of interest– but who in reality are making their supervisors look good – than the film that brings the comic adventures of two very special interns to life on the big screen. THE INTERNSHIP presents Vince Vaughn and Owen Wilson as two salesmen whose careers have been torpedoed by the digital world. Trying to prove they are not obsolete, they defy the odds by talking their way into a coveted internship at Google, proving that necessity really is the mother of re-invention. THE INTERNSHIP enrolls in theaters everywhere June 7th.